No need to hunt and gather – just order off the menu! Egg White Grill – Grilled chicken for breakfast? If you haven’t tried it, you don’t know what you’re missing. Ask for this menu option without the English muffin. The grilled chicken is marinated with a hint of citrus flavor and stacked with grilled egg whites and American cheese (but can be ordered without cheese). Packed with more than 20 grams of protein, you’ll be satisfied all morning. Add a fruit cup full of real apples, blueberries and strawberries and a hot THRIVE coffee to fuel your caffeine kick. 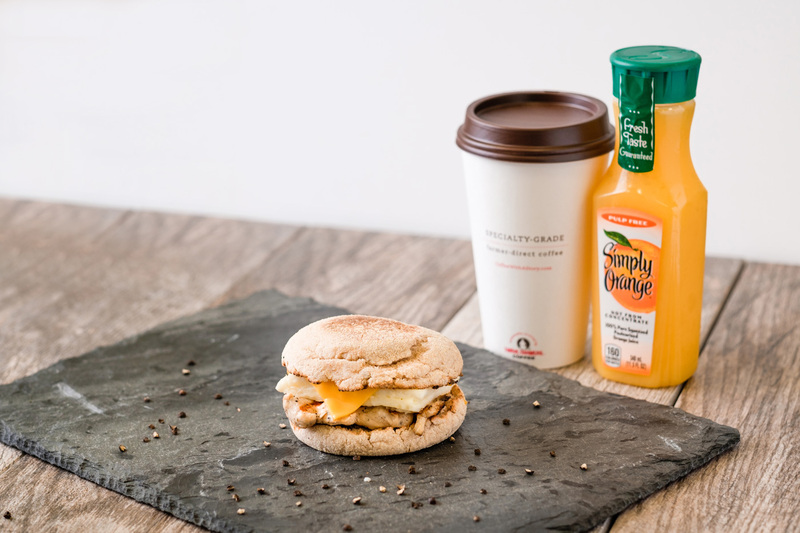 Customized Breakfast Platter – Ask for this order with the grilled chicken and scrambled egg whites only, and omit the biscuit and gravy for a paleo-friendly start to the day. 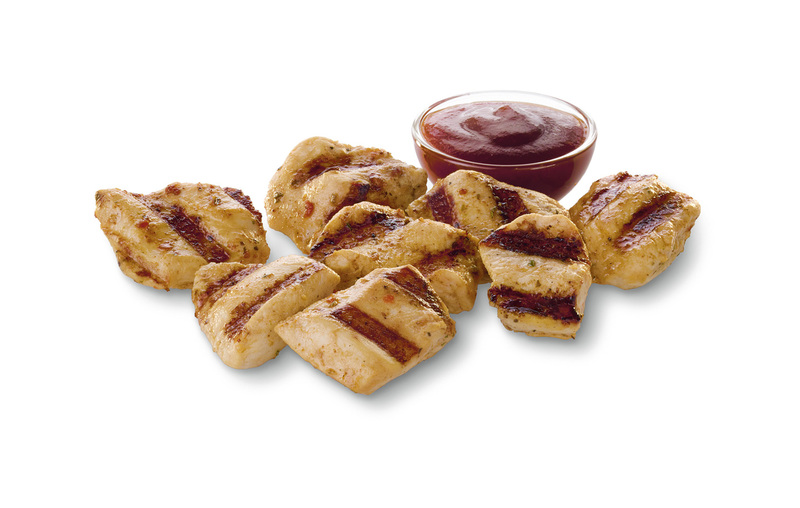 12-count Grilled Nuggets with Superfood Side – These bite-sized pieces of chicken breast taste like they came right off the grill (or campfire). For a side dish, order a small salad made with Romaine, cabbage and carrots or a fruit cup and wash it down with an unsweetened iced tea. 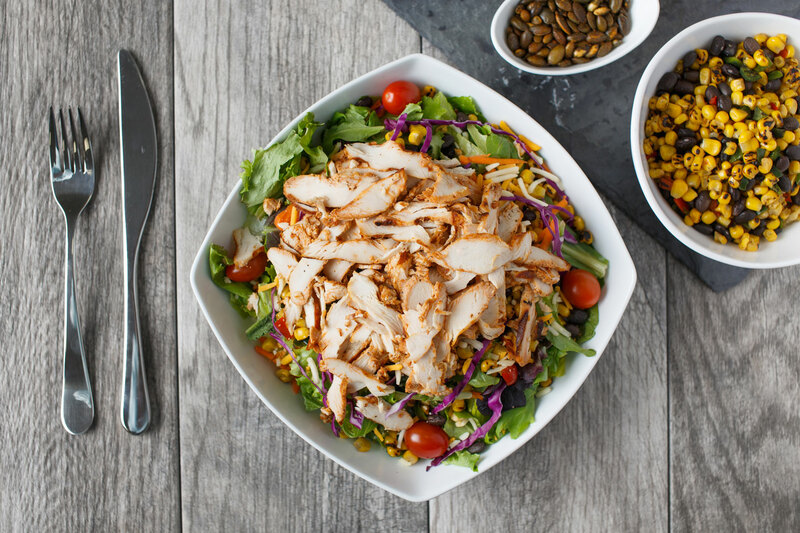 Spicy Southwest Salad or a Grilled Market Salad – If you’re feeling spicy, we’d recommend trying the Southwest option, but for a salad with a fruity twist, go for the Grilled Market. 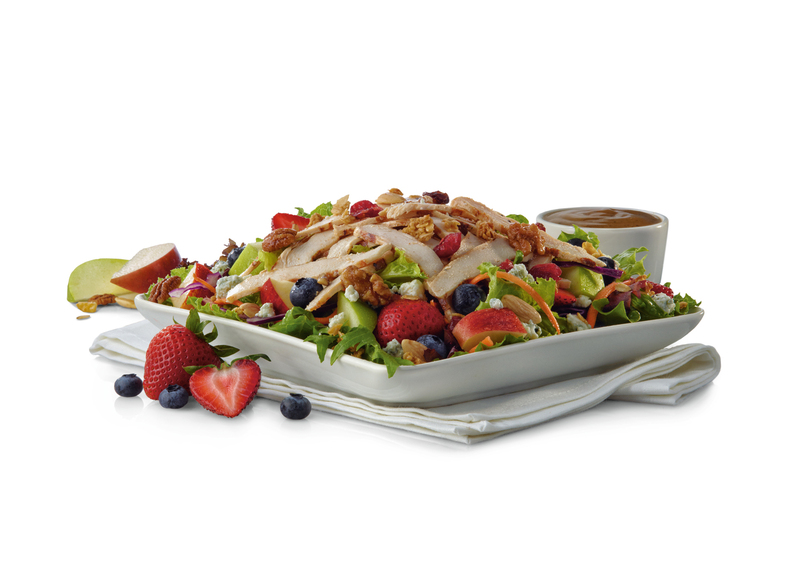 Both salads have a variety of fresh ingredients including Romaine lettuce, fruit, corn and nuts, and can be ordered without cheese. 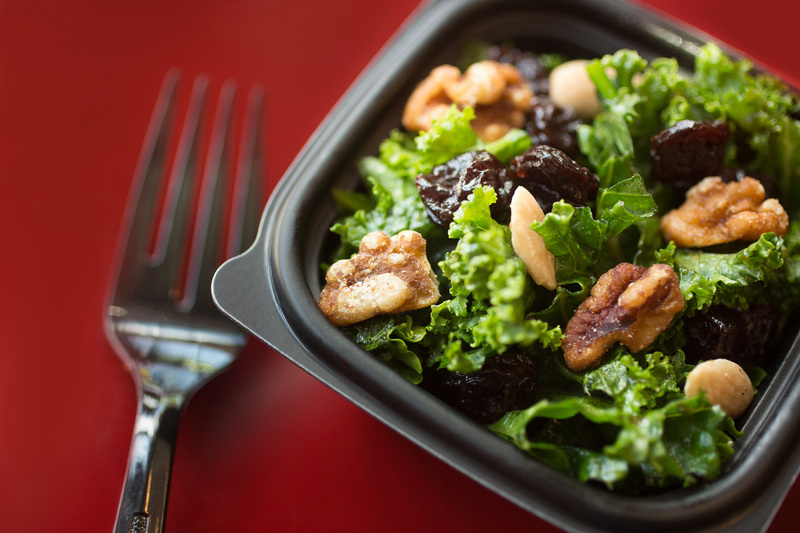 Enjoy either salad with an ice-cold Dasani bottled water or unsweetened iced tea when you’re on-the-go.